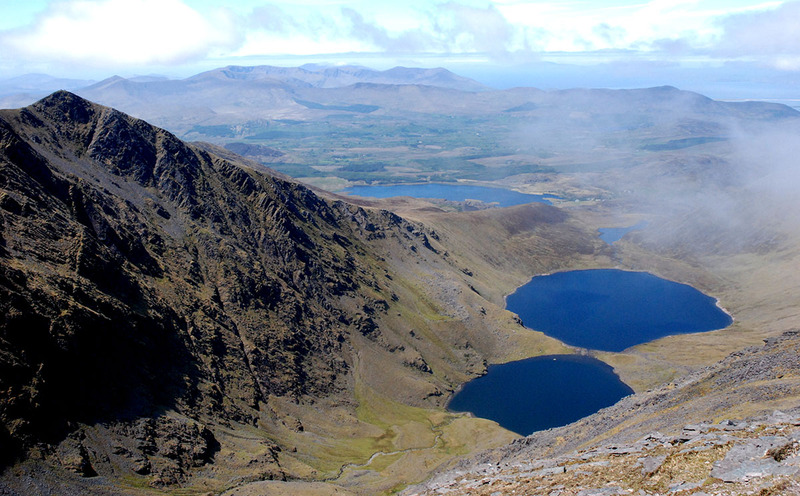 The MacGillycuddy Reeks Mountain Access Forum was established to protect, manage and sustainably develop the MacGillycuddy Reeks mountain Range. If you are an individual you too can help and support the initiative and become a friend of the reeks. All funds go back into the Reeks path repair and habitat restoration. For more information and how to become a friend please view our website. The Reeks is privately owned land and in order to manage the numbers of people walking in the Reeks area we ask all groups of 10 or more people to complete an Event Sheet available online at www.macgillycuddyreekskerry.com. If your a guide or organiser of an event a copy of your Public Liability Insurance will also be required. You must notify us prior to the event taking place, failure to do so may result in access being denied. Dogs are strictly forbidden on the MacGillycuddy Reeks mountain range due to extensive livestock, no exceptions. Please enjoy and respect the land and landowners in this beautiful and unique landscape.